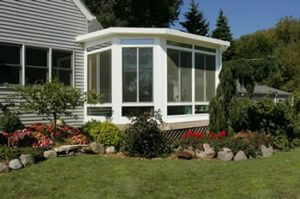 Adding a sunroom to your Arlington, Tennessee, area home can significantly change your lifestyle for the better. It will not only provide you with a stunning space to view the beautiful outdoors, but it will also increase your livable floor space – allowing more room for fun activities and entertaining house guests. At RAMCO Home Improvements, we can provide you with a gorgeous new sunroom that you and your loved ones will enjoy spending time in for generations to come. Plus, we will expertly install it with all of the care and precision you can expect from a trusted home improvement company with more than two decades of experience and an A+ rating with the Better Business Bureau. If you would like to learn more about having a sunroom installed at your home in the Arlington, TN, area, contact RAMCO Home Improvements today. One of our friendly representatives would be happy to assist you.